Nairobi: Four months of street protests in Sudan gave way to a burst of political upheavals this week that—on the surface at least—appears to have upended the status quo after 30 years of strongman rule by Omar Hassan Al Bashir. Yet the heart of the old regime is far from gone. Sudan now seems tossed into power battles between different factions of the military, which turned against Al Bashir on Thursday in a stunning end for a leader who had managed to ruthlessly quash dissent for decades in one of Africa’s largest nations. Since Al Bashir’s arrest by his once-loyal military, top figures from his regime seem to be in retreat mode as commanders apparently maneuver behind the scenes, analysts say. “This isn’t an unfamiliar situation when a strongman falls,” said Zach Vertin, a fellow at the Brookings Institution and a former senior adviser to President Barack Obama’s special envoy to Sudan. Awad Ibn Ouf, the former vice president and defense minister who announced Al Bashir’s ouster, lasted just more than a day as the head of a transitional military government. Then Salah Gosh, Al Bashir’s feared head of intelligence, resigned from his position Saturday. Another win for the protesters came Saturday afternoon when a curfew imposed by the military council—which many saw as a tactic to disperse the demonstrators—was canceled by its new leader, Lt. Gen. Abdul Fattah Al Burhan. He also promised to prosecute security forces that had killed protesters, and fired all state governors appointed by Al Bashir with immediate effect. 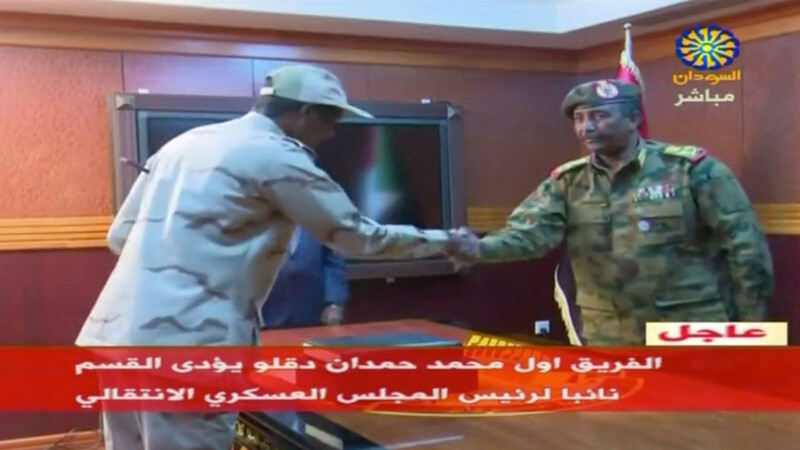 Most Sudanese people have only known Al Bashir’s autocratic rule, and the rapid changes are thrilling, if confusing. Still, their main demand, for a civilian government, has not been met. The possible timetable for the military to step aside has become a main point of friction. Al Burhan, who took charge of the government late Friday, did not help ease the worries. He said Saturday the transition to civilian rule could still take up two years. That brought immediate outcry from the demonstrators as simply too long. “We assert that our revolution is continuing and will not retreat or deviate from its path until we achieve . . . our people’s legitimate demands of handing over power to a civilian government,” said a statement from the Sudanese Professionals Association, which has been leading the protests. Al Burhan is a little-known lifelong army commander who until recently led its infantry division and helped recruit many of its members to fight on behalf of Saudi Arabia-aligned factions in Yemen’s civil war. The United States, which repeatedly punished Al Bashir’s regime for alleged human rights violations, has been largely silent. Sudan remains on Washington’s list of state sponsors of terror; many of the former regime’s leaders are on sanctions lists and there is no American ambassador in Khartoum. The turmoil has distracted many Sudanese from a festering economic crisis. Since Al Bashir’s arrest, Sudan’s borders and airspace have been closed, exacerbating an already debilitating shortage of goods, all of which are becoming more expensive by the day. Fuel and wheat, in particular, have become flash points. With Sudan facing various crises, the resolution of a way forward politically has become more urgent. 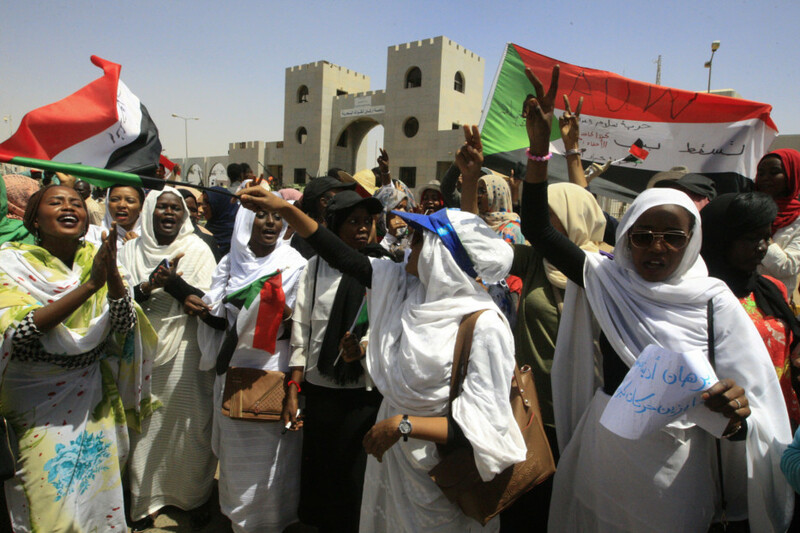 Protest leaders, on the other hand, have accused many members of the military council of being untrustworthy criminals because they are implicated in the military’s brutal crackdowns through Al Bashir’s years that earned some of its leaders, including Al Bashir, indictments for war crimes in the International Criminal Court for atrocities in Sudan’s Darfur region. “I think the best-case scenario, however unpopular it might sound, is a hybrid civil-military government,” Vertin said. Al Burhan’s appointment was seen as an appeasement to the protests, but it did little to answer major looming questions. Among them: What is the status of Al Bashir? No evidence has been made public to prove that Al Bashir was in custody—or even still in Sudan for that matter.